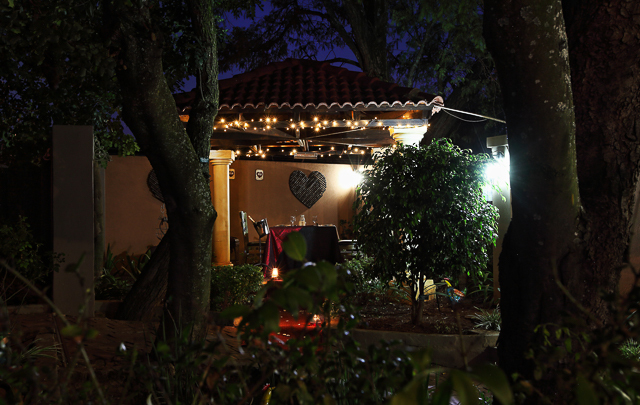 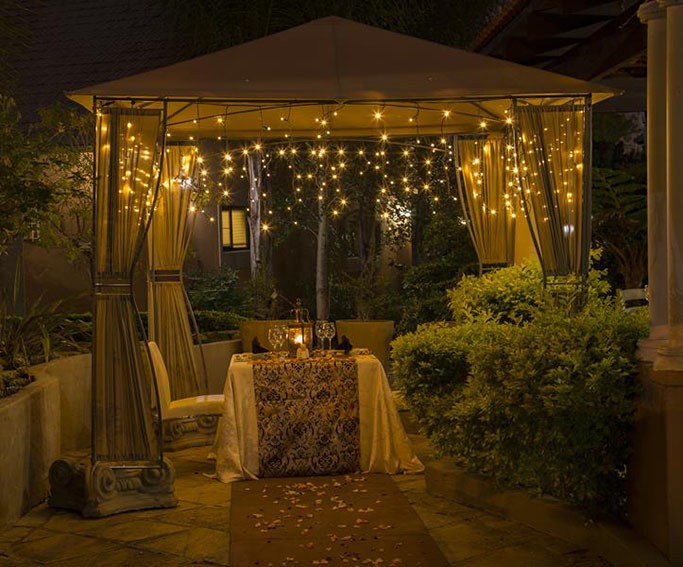 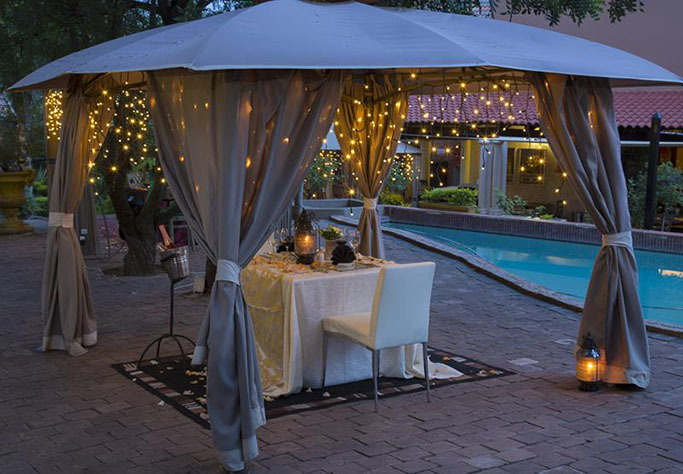 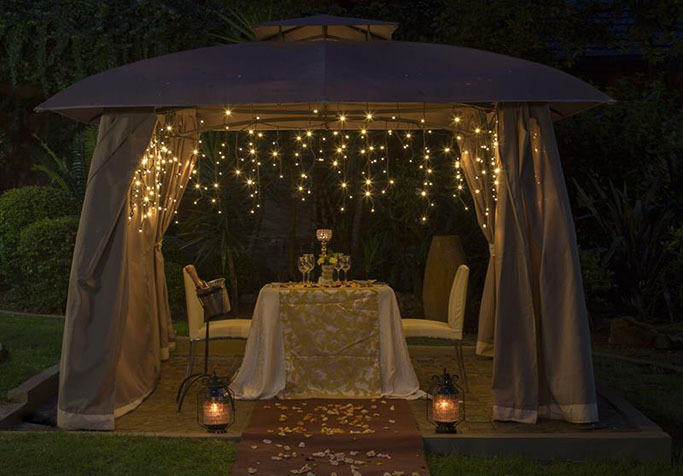 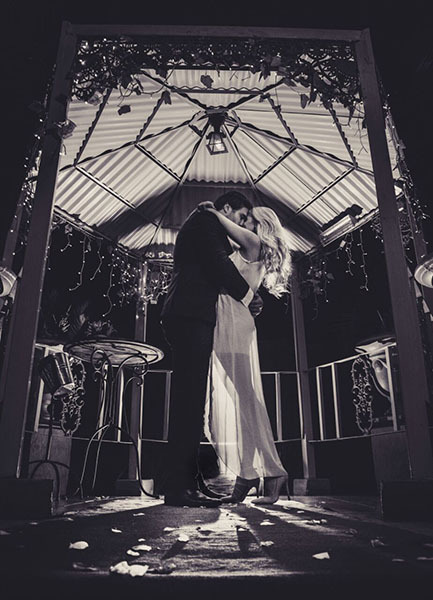 Our 6 Romantic Private Gazebo’s is the perfect location for the perfect romantic evening out. 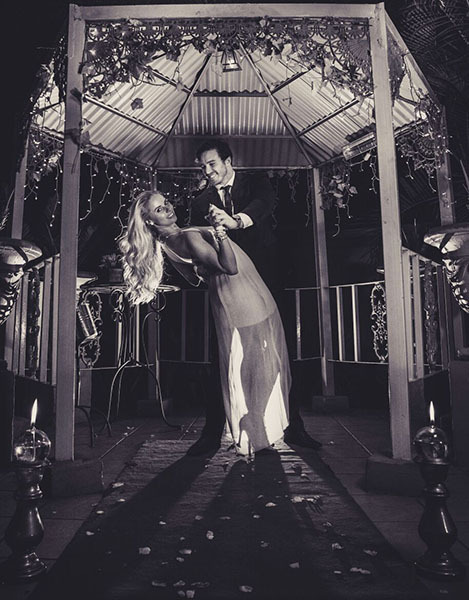 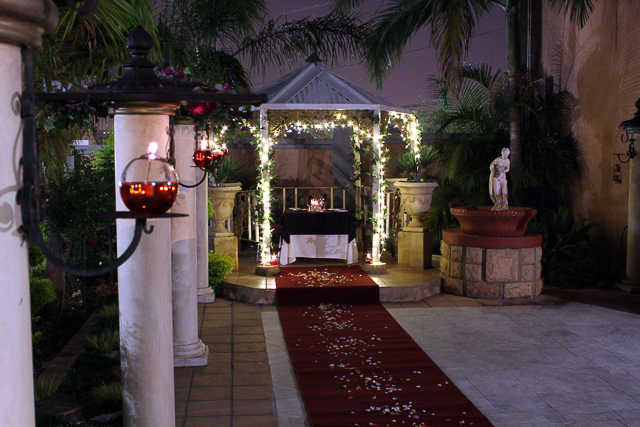 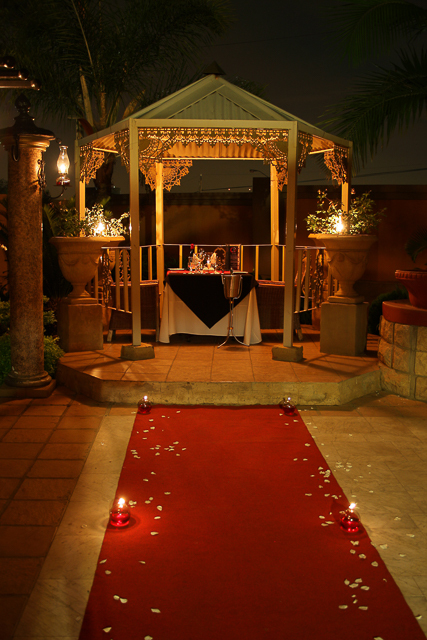 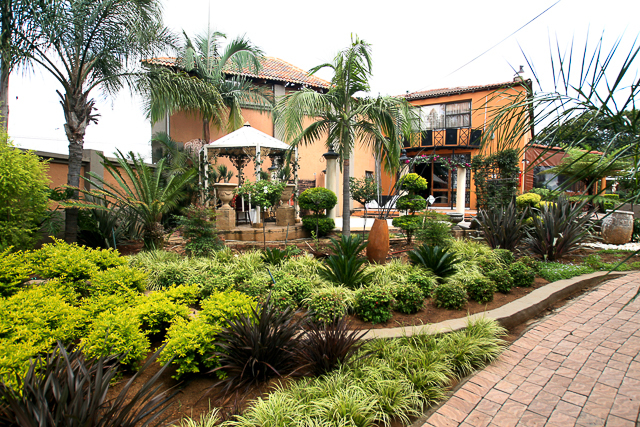 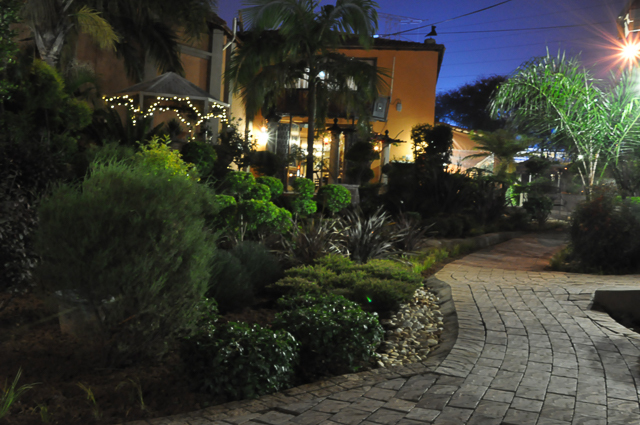 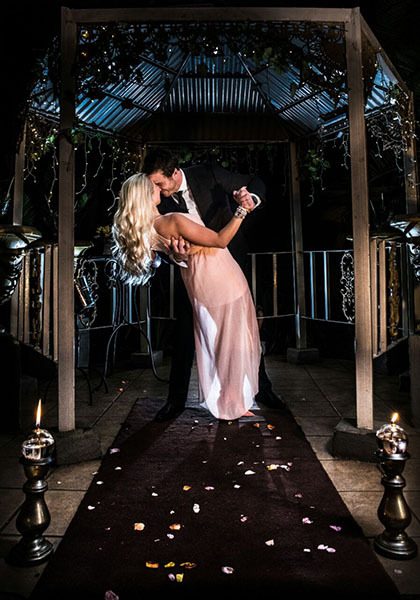 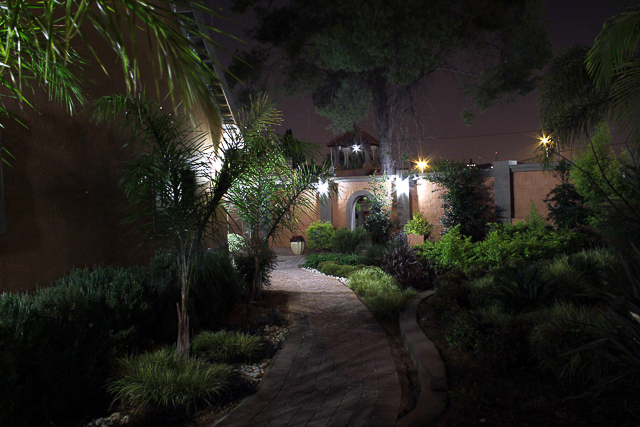 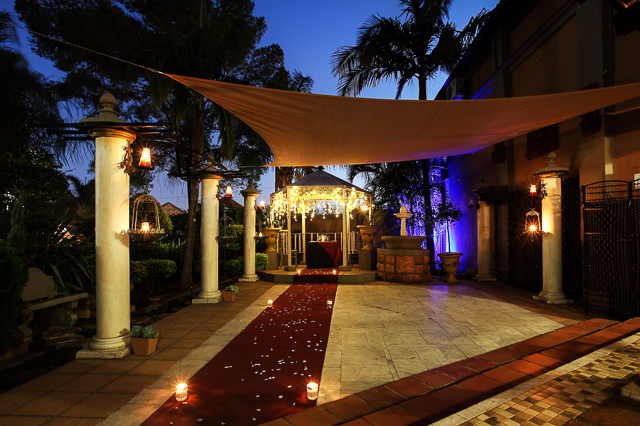 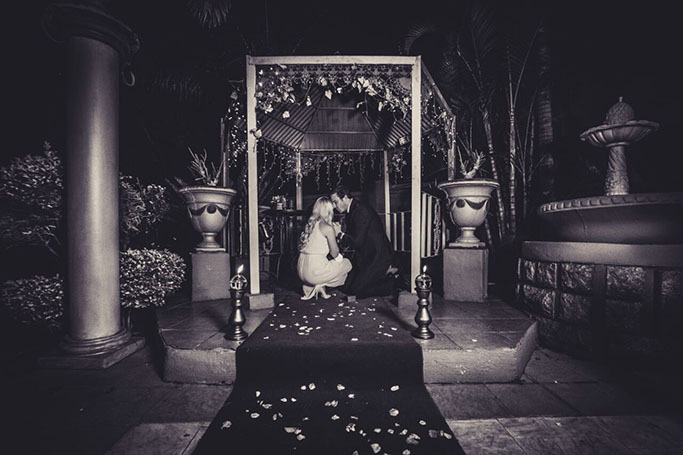 With a Red carpet, rose petals, Fairy lights and exquisite cuisine we offer the perfect setting. 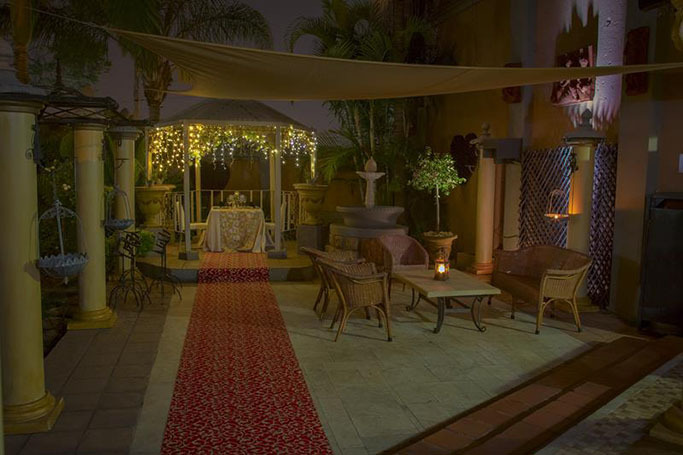 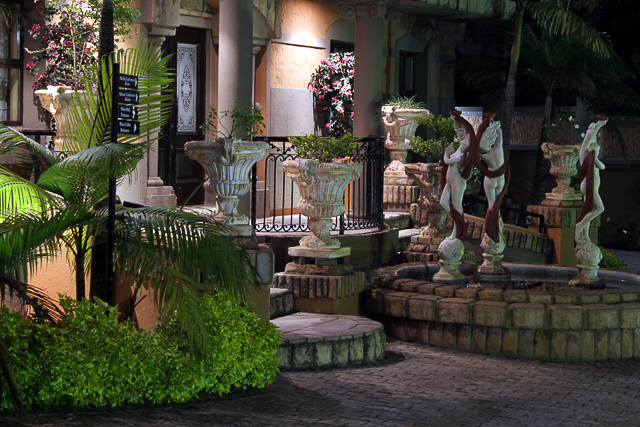 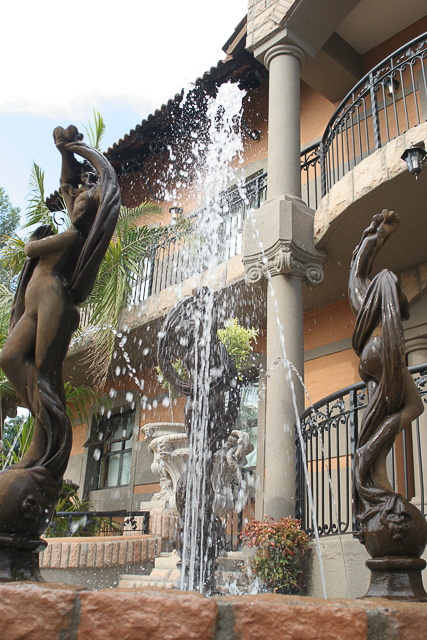 Located in private corners among beautiful Tuscan gardens are two private dining areas specifically created for intimate and romantic dinners. 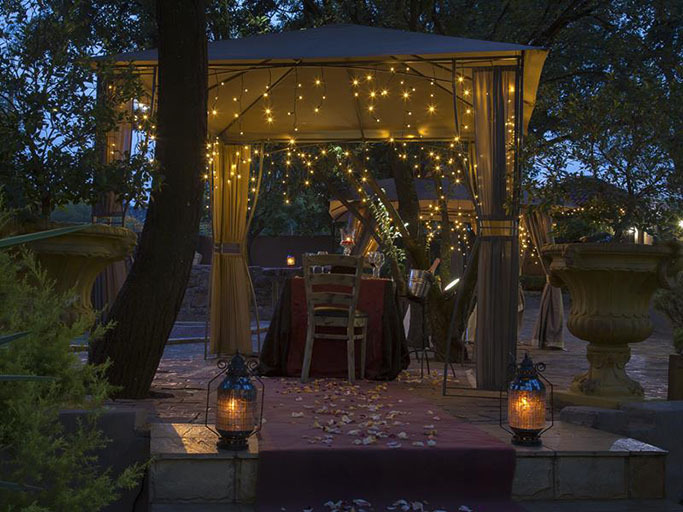 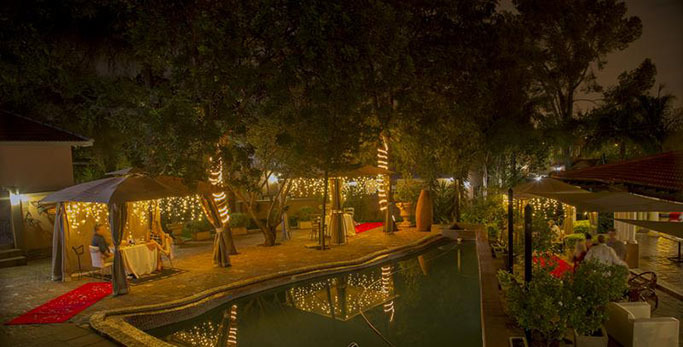 Among nature and draped in soft candlelight, both venues boldly whisper "romance". 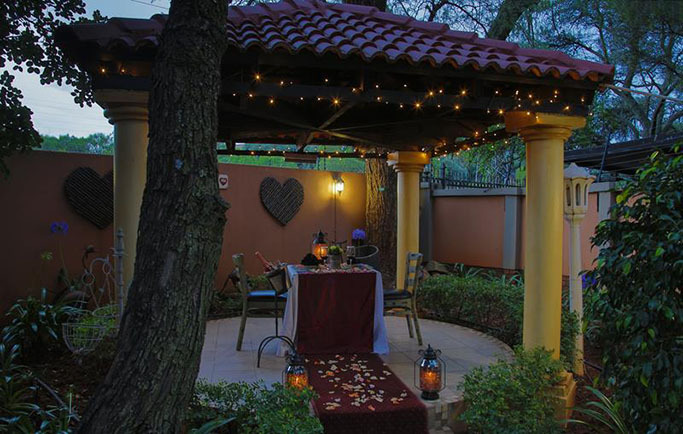 These venues are not booked at a cost, and due to the popularity of the romantic secluded dining areas, we advise pre-bookings.